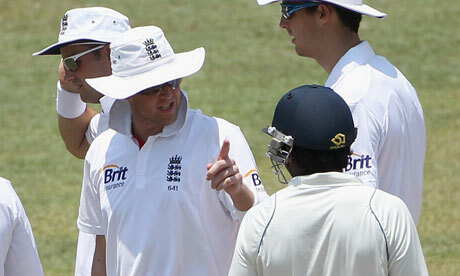 GALLE has rarely been kind to England captains. More often than not, they have travelled the coast road back to Colombo having been gently basted in the sun, knowing that they have come off second-best. No England captain has left Galle a winner. Nasser Hussain, Michael Vaughan and Andrew Strauss have all struggled there, both as captains and batsmen, Vaughan’s twin draws (hanging on, nine wickets down in 2003, and then saved by the rain in 2007) a triumph compared with the innings defeat suffered by Hussain and the 75-run defeat inflicted on Strauss yesterday. Watching Strauss in the aftermath of defeat, it was Hussain I was thinking of. During England’s first ever Test match in Galle, Hussain was in the middle of a horror trot. Read the rest of this entry ? 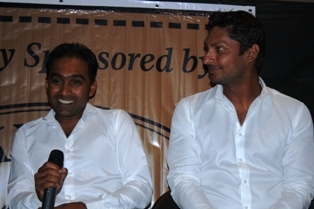 The country’s one of the most respected cricketers, Kumar Sangakkara once called Rangana Herath ‘the work horse’ of the team. Now that he has emerged as country’s premier bowler, we should talk about his other virtues as well and how tough the rise for him has been having represented two unfashionable entities – Maliyadeva Vidyalaya and Moors SC. (Only two seasons back he left Moors after an association of 14 years after the club got demoted). Loyalty and perseverance are two virtues of Herath that we should admire. Although HeThe rath made his debut in 1999, opportunities were rare for him due to the presence of champion Muttiah Muralitharan and Sri Lanka always had Sanath Jayasuriya to bowl a bit of left-arm spin. But occasionally Herath was used in Test cricket, particularly against Pakistan once John Dyson developed this idea that Pakistan were in fact susceptible against left-arm spin. Read the rest of this entry ? The First Test between Sri Lanka and England that gets underway tomorrow will be the 12th the tourists will be playing in the country. 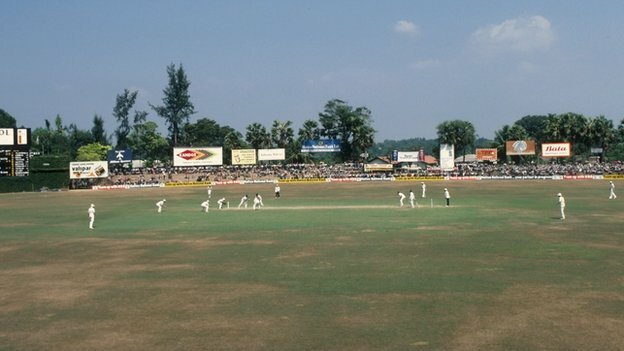 Thirty years ago, Sri Lanka’s inaugural Test was played at P. Sara Stadium, the venue for the second Test between the countries this time around. In today’s Sunday Island, some of stalwarts who played that game remember the inaugural Test, which Sri Lanka lost by seven wickets. “We found out that we had been granted Test status in a Yorkshire hotel during our 1981 tour of England. We were very excited and there was huge expectation from both players and fans. In the 1975 World Cup, we had given Australia a real scare. We firmly believed that we were good enough to compete with the best in the world.” – Sidath Wettimuny. Read the rest of this entry ? 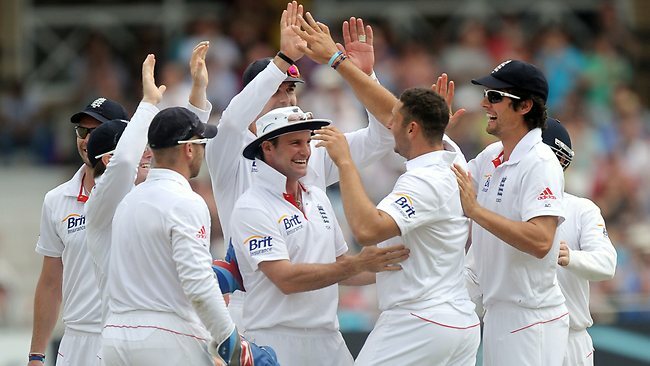 This Monday, England play Sri Lanka in what for the hosts will be their 211th Test match. 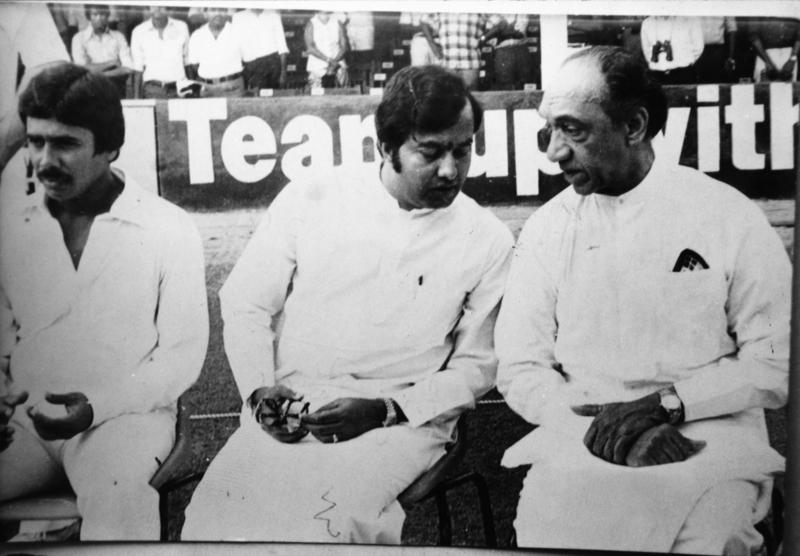 Just over 30 years ago, Sri Lanka was making their Test bow, also against England, at Colombo’s Paikiasothy Saravanamuttu Stadium. For Sri Lanka, the match marked the end of a long wait for Test recognition. They first played first-class cricket as Ceylon in 1927 against the MCC and made their international debut at the 1975 World Cup. For England, the contest came off the back of a gruelling tour of India. A 1-0 series defeat after six energy-sapping Tests was quite a come-down from the euphoria of the summer of 1981 when Mike Brearley’s men so famously retained the Ashes. Brearley had sauntered off into the sunset to be replaced by another wily veteran, Keith Fletcher, the Essex captain who had last played for England in 1977. After losing the first Test in Mumbai, Fletcher and England became increasingly frustrated tourists, complaining of ill health, poor accommodation, lifeless pitches and bad umpiring. ‘The Gnome’, as he was affectionately known, also had to contend with his fair share of off-field issues including clandestine conversations that would eventually result in the first ‘rebel tour’ of South Africa and the banishment of England’s record run-scorer Geoffrey Boycott, sent home for playing golf while off the field because of illness. Read the rest of this entry ? Sri Lanka the gentlest, most languorous country of Asia, where everybody smiles beguilingly – Arthur C Clarke thought it was the best place in the world from which to view the universe. Legend has it that this is where butterflies come to die. But currently Graeme Swann seems rather less enamoured with the country. Swann, we know, can be a delight. He is an admirable cricketer, who plays the game in the right way. Afterwards he pitches up for press conferences with a smile and once they are over dutiful correspondents are rarely left scratching their heads for something to write. He likes to entertain; for him a good one-liner is as irresistible as a wide half-volley; he is prepared to speak his mind often with colourful images. And we are grateful. Read the rest of this entry ? 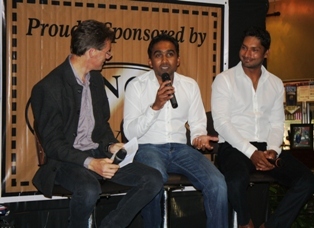 More than 250 people attended the Knox Tavern recently for the fundraiser in aid of the Foundation of Goodness, the special guests being Sri Lankan superstars Mahela Jayawardene and Kumar Sangakkara, who hold the world record for any wicket in Test match history and responsible for in excess of 45,000 international runs. Cricket Australia’s Chairman, Wally Edwards, Cricket Victoria CEO Tony Dodemaide, both former Australian Test players and Sri Lankan Cricket Foundation of Victoria Chairman, Dr Quintus DeZylva were also present, lending their support. Sangakkara addressed the audience first and he opened his innings by promising not to speak for one hour and ten minutes as he did in his address to the MCC at Lords in London last year. A polished performer, those in the room would not have minded if he broke his promise as he had the audience in his hands, with a personal plea for compassion in regards to the village of Seenigama, and for the new projects in the war torn north of Sri Lanka. Sunil Narine came to the party in a big way on Sunday with a superb spell of spin bowling as West Indies beat Australia by five wickets in the second Digicel One-Day International. The 23-year-old off-spinner took a career best four wickets for 27 runs off eight overs as the Windies limited the visitors to 154-9 off 40 overs in a rain-reduced match at Arnos Vale Cricket Ground. The target was then set at 158 (Duckworth/Lewis Method) and the home side romped home at 163-5 with 10 balls to spare. The victory was celebrated by a capacity crowd of over 12,000. It was the Windies’ first win Pic by Zee News over the Aussies in an ODI since 2006, and brought them level 1-1 with three matches left in the five-match rubber. Big-hitter Kieron Pollard smashed four sixes in a topscore of 47 not out off 61 balls. Carlton Baugh ended the match with a big six over deep square-leg into the celebrating crowd. Earlier, vice captain Dwayne Bravo made a responsible 30 off 49 balls in a crucial fifth-wicket stand of 64 with Pollard. Read the rest of this entry ? You are currently browsing the Critiquing Cricket blog archives for March, 2012.